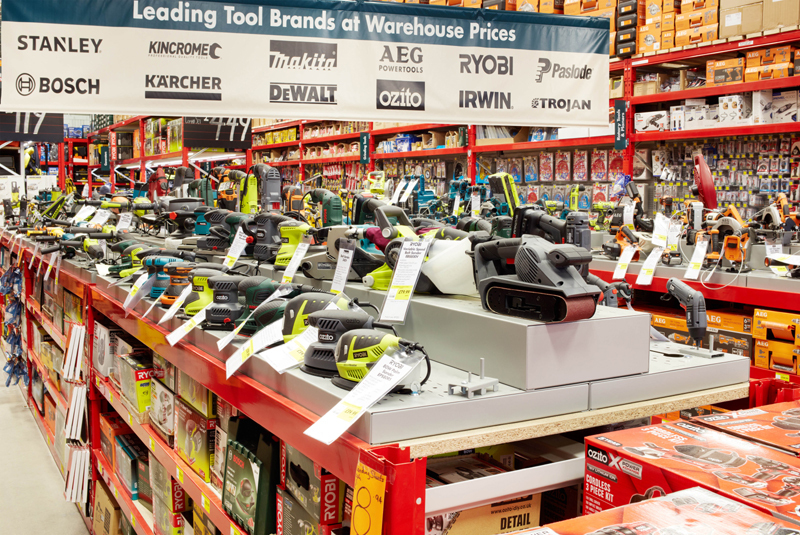 Wesfarmers, the Australian parent company of the Bunnings chain of DIY and hardware stores, has agreed to divest the Homebase business in the UK and Ireland to a company associated with Hilco Capital. The Homebase acquisition has been described as “disappointing” by its Australian management, however many commentators have been less diplomatic with the venture even refered to as “the most disastrous retail acquisition in the UK ever”. Whilst the move never explicitly saught to target the UK trade market, Homebase largely jettisoned its ‘softer’ product lines, in-store concessions such as Laura Ashley and significantly reduced its kitchens and bathrooms offering. The stores rebranded to Bunnings in particular took this approach further with, for example, dedicted areas to hand and power tools that would appeal to professional users. Irrespective of its key customer demographic, Wesfarmers’ decision to divest the business will undoubtedly have an effect on the wider UK home improvement marketplace, with implications for the merchant sector. Under the terms of the agreement, the buyer will acquire all Homebase assets, including the Homebase brand, its store network, freehold property, property leases and inventory for a nominal amount. The 24 Bunnings pilot stores will convert to the Homebase brand promptly following completion. Wesfarmers will participate in a value share mechanism whereby it would be entitled to 20 per cent of any equity distributions from the business. This obligation is not limited by time, allowing Wesfarmers to participate in any profitable divestment of the business in the long-term. Wesfarmers Managing Director Rob Scott said the agreement follows a comprehensive review of the Bunnings United Kingdom and Ireland (BUKI) business which considered a range of options to improve shareholder returns. He said: “A divestment under the agreed terms is in the best interests of Wesfarmers’ shareholders and will support the ongoing reset and repositioning of the Homebase business. With the conclusion of the review, Wesfarmers advises that it expects to record a loss on disposal of £200 million to £230 million in the Group’s 2018 full-year financial results, subject to completion and review by Ernst & Young. The divestment is expected to be completed by 30 June 2018.